In observance of World Malaria Day on April 25th, Grassroot Soccer partner Iringa Development of Youth Disabled and Children Care (IDYDC), in Tanzania, organized a malaria themed community event in partnership with the Mafinga District Medical Office and with support from ExxonMobil Foundation. 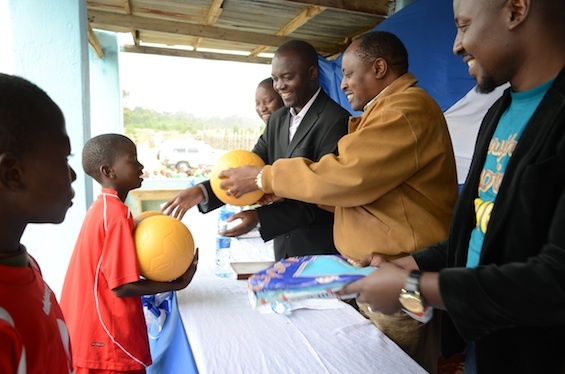 Young players receive bed nets and soccer balls at the IDYDC World Malaria Day community event. 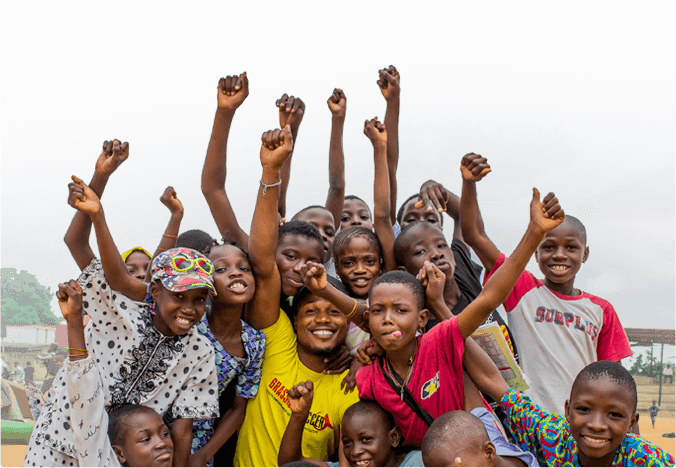 The event featured a primary school soccer tournament, community mobilization, free malaria testing/counseling, and malaria educational activities. The tournament included 10 teams, comprising 60 total youth, from 10 local primary schools in Mafinga that are all featured Zinduka (the locally-adapted Grassroot Soccer SKILLZ curriculum) sites in 2015. The teams consisted of an equal number of girls and boys and were a mix of all schools. Young participants play 'Bed Net Ball', a SKILLZ activity that teaches the importance of proper bed net usage to prevent malaria. In an effort to increase awareness about malaria prevention, two activities were taught to all the players from all teams during the tournament. The first activity was the Grassroot Soccer SKILLZ practice demonstration on fighting malaria through the use of bed nets -‘Bed Net Ball’. 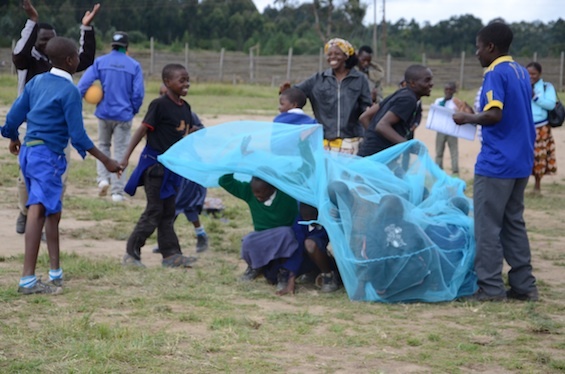 The second activity was an adaptation on the Grassroot Soccer SKILLZ curriculum ‘Fact and Nonsense’ activity involving the myths and truth about malaria. A young speaker addresses the crowd. Rahim Magwano, IDYDC Program Manager, gave an introductory speech and presided over the event. Two nurses from Mafinga Regional Hospital provided all-day testing and counseling to all attendees of the event that wished to test. IDYDC was able to test 400 people, including 278 children under 15. 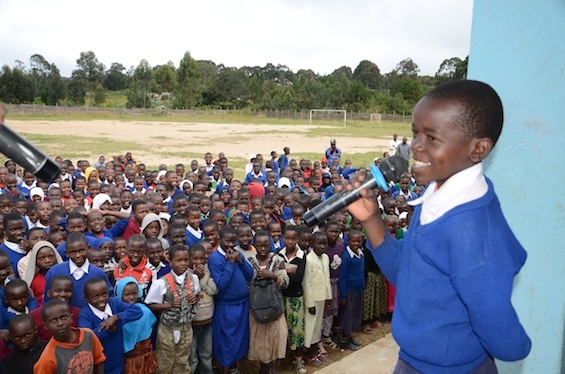 Each student who participated in the event, along with many community members, received a brand new bed net and an official Grassroot Soccer ball to take home. 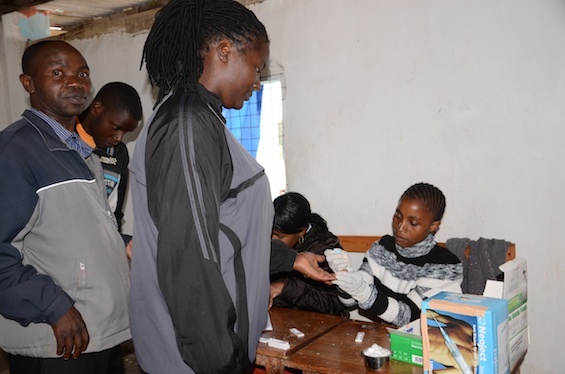 400 people chose to take a malaria test at the event.